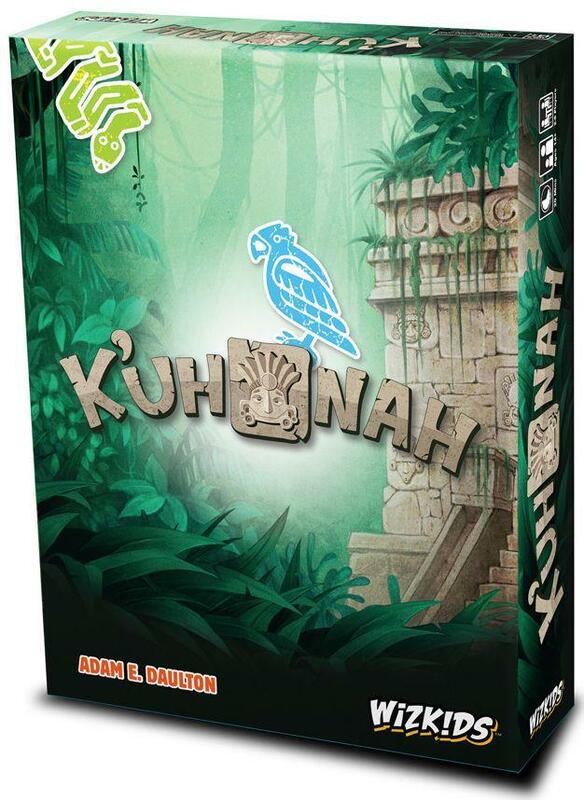 K’uh Nah (Mayan for divine house) is a quick, push-your-luck game in which players are attempting to build the most perfectly shaped pyramid by avoiding the blocks they do not want and obtaining the ones they do want! Be careful, because you must always place a lighter block on top of a heavier block, unless you are able to match the icons. The player who builds a pyramid that will last the ages wins the game! Each card has two icons and a number. These are available to get and put in your pyramid. 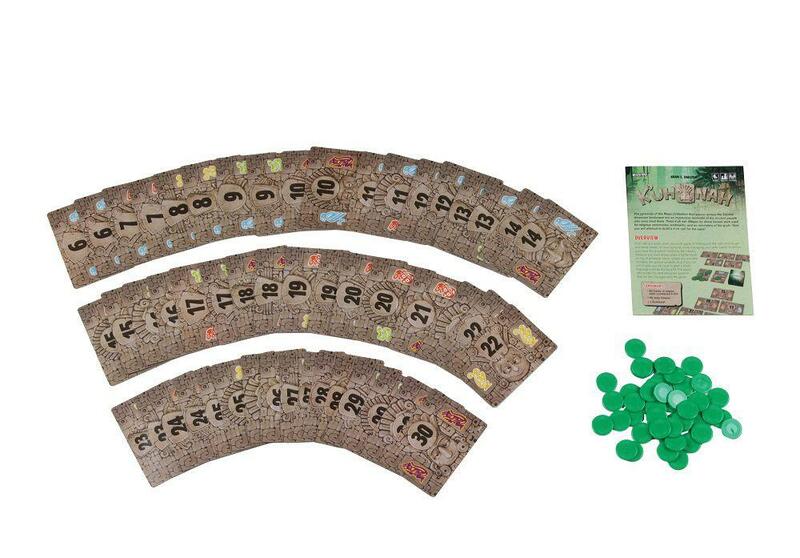 If you do not like any of the cards available, then you must put a jade token on one of the cards. If you do not have any jade tokens, then you must take a card. At the end of the game, you will score the value of your cards not supporting other cards minus the jade tokens you have left. 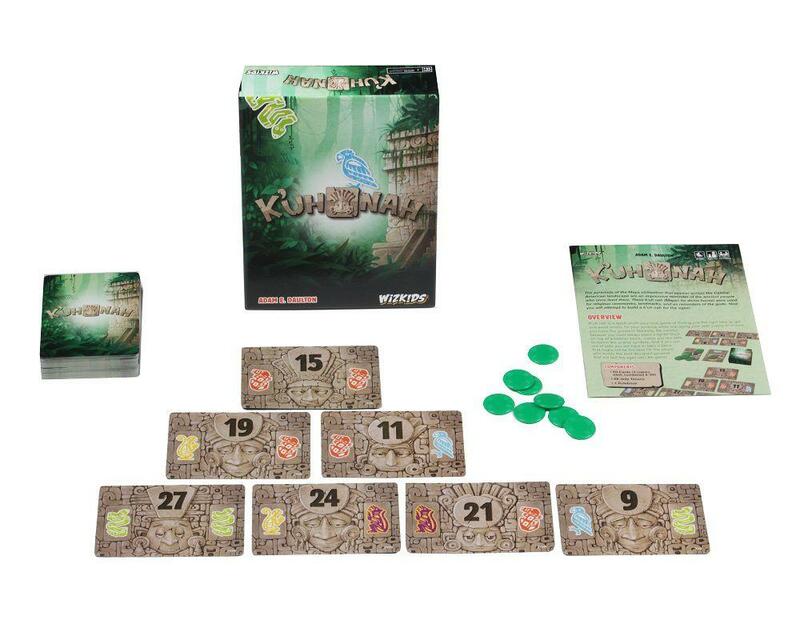 The player with the fewest points is the winner.